The Book Mine Set: Thank You!!! Congratulations John! You so deserve the awards!! I wouldn't dare disagree with anyone over here. Not that I was planning to, of course. Congratulations, John, and Happy New Year! 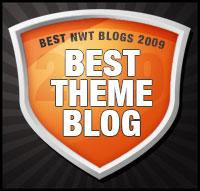 I checked out the first and second place winners and still believe that your blog is the best!